I’m not a lawyer or a scholar but an amateur historian who began researching Article V in late 2013 and found a treasure trove of learned material. Historical material. 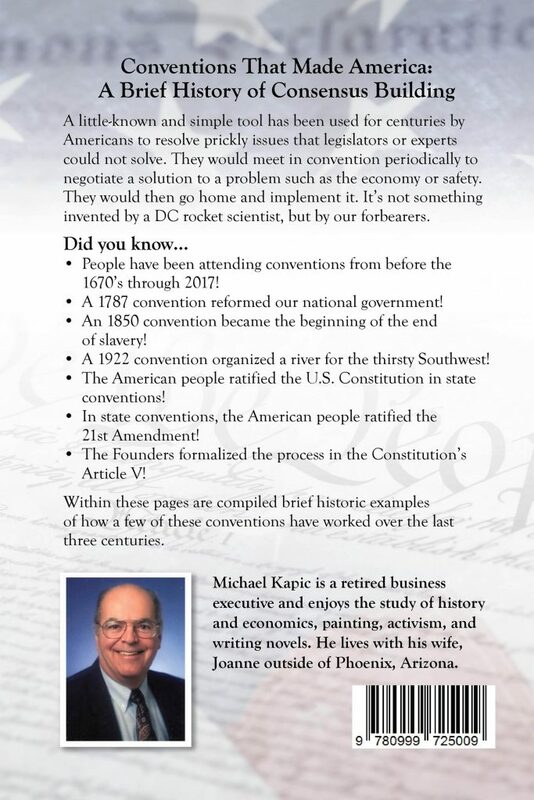 Because of the many claims that we don’t know how a convention of states works, I researched and authored a book in 2018. 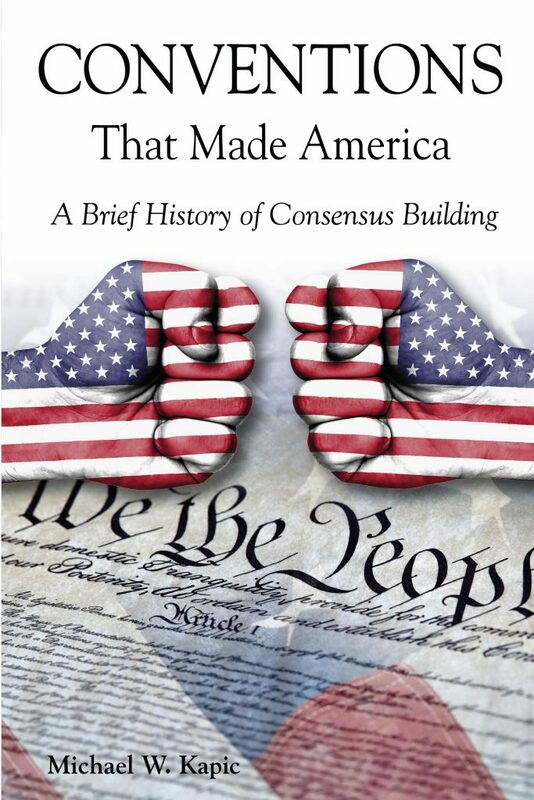 Conventions That Made America: A Brief History of Consensus Building is a brief compilation of Professor Natelson’s work as he’s researched and written the most on the subject. 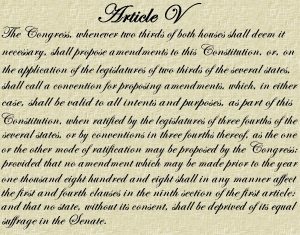 Natelson’s recent The Law of Article V: State Initiation of Constitutional Amendments is not only a highly comprehensive work on Article V, it is fine piece of writing. The book can be read by the novice to the convention process and they’ll come away with a clear and factual understanding of the second clause of Article V. Or it can be utilized as a research tool by the legislator or activist. Although Timothy Dake’s Far From Unworkable speaks to a broader Article V content, it doesn’t focus as tightly on the current issues facing America today. It gives a basic understanding of the historical skeleton of Article V and I suggest that Dake’s book is a history of the convention process itself. So is Natelson’s to an extent, but he drills down further in each of the key administrative elements of Article V’s convention process. He briefly argues against the historically false claims for not using the second clause of Article V today. I suggest then, that Natelson’s book is more like a road map: an explanation of the skeleton and how to use it to get from point A to point B and which avenues to avoid. 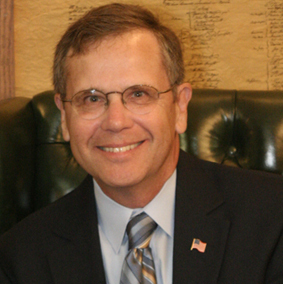 Natelson is one of leading scholars on the subject from his years of constitutional research and writing, and he is the most quoted by the US judiciary including the Supreme Court. The book is divided into four parts which logically gives the reader a thorough understanding of Article V. Part I describes the sourced material and compare’s early historical examples with arguments of today. The enlightening discussion on the three waves of activity beginning in the 1960s, outlines how some have become foolishly frightened of Article V. Americans, through a loss of knowledge, have only recently learned how to react to the so-called threats of using the second clause. Part II lists the many court cases for reader research. Part III explores the history and analyses of the text. The various administrative elements of how conventions began and evolved and how through precedence and common law they became fixtures of the process. Part IV covers forms and samples of those conventions administrative fixtures such as voting, delegate selection, rules, etc. Natelson has given us a detailed analysis of the law of Article V’s second clause in a relatively easy read. He has assembled a road map of how to understand the Founders intention and use the second clause of Article V for the first time. Over 400 attempts have been made since 1788 while Congress has attempted to propose amendments nearly 12,000 times. Where does our confidence in DC to make Constitutional changes lie: Congress or ourselves? This is a road map on why and how we the people and our states can return the country to America’s original structure and values.